Hello there friends and happy Friday to all of you! It’s a very special holiday week as we’re celebrating all things Mom. I can’t think of a better way to let her know you’re thinking of her than by creating a very special gift handmade by you. It’s only a few days away but there’s still time to whip up something for that wonderful person you call Mom. 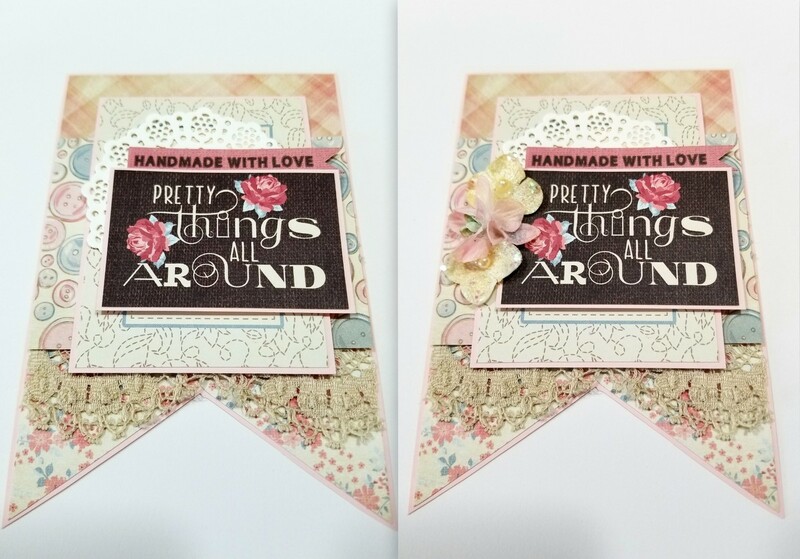 I created this banner with the gorgeous Stitches Collection to be super easy to replicate simply by following a few easy steps. Even if your Mom isn’t into sewing it’s still so chock full of vintagy detail that it will be perfect for her to display and enjoy and think of you. 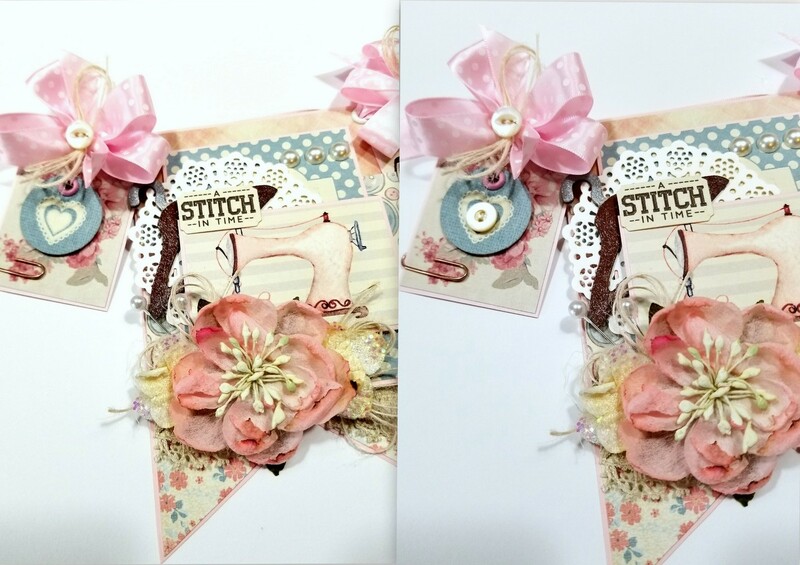 I’ve layered up the patterned papers and added a few extra fun embellishments and vintage lace. 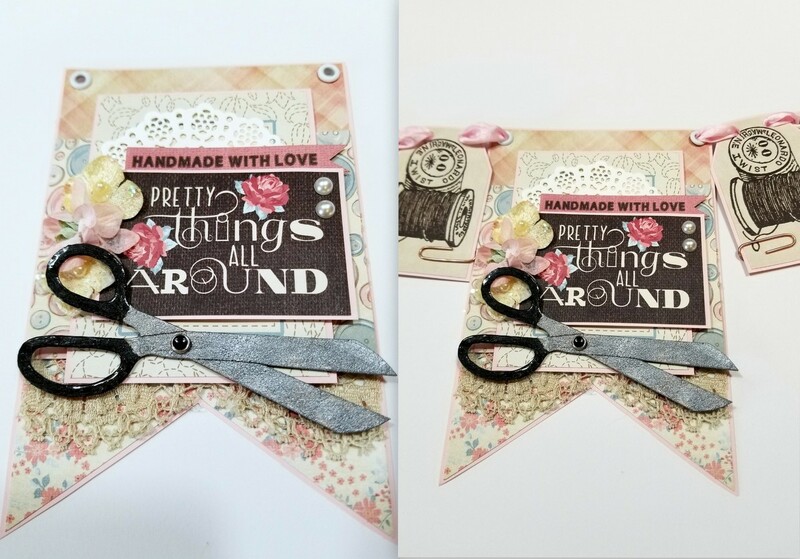 This lovely collection has loads of journal cards and cut aparts so you can mix and match them to create similar but different combinations. Don’t forget to utilize the sticker sheet as it has wonderful little sentiments and tags you can layer on for added detail. 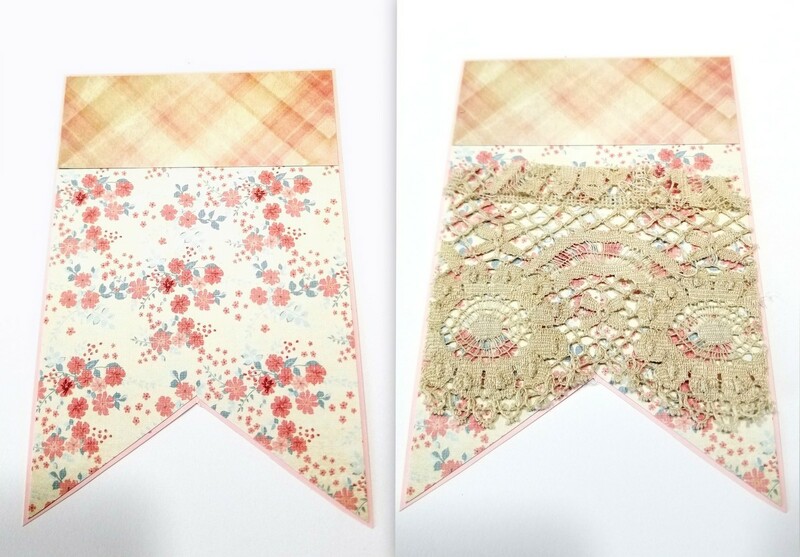 Clip a banner shape using the patterned papers. I’m working with a 4 x 6 inch piece then cut a dovetail in the bottom to give it the iconic banner shape. Adhere it to solid cardstock and clip out leaving a 1/8 inch border. Top the banner with a strip of the companion plaid paper . Next add lace. 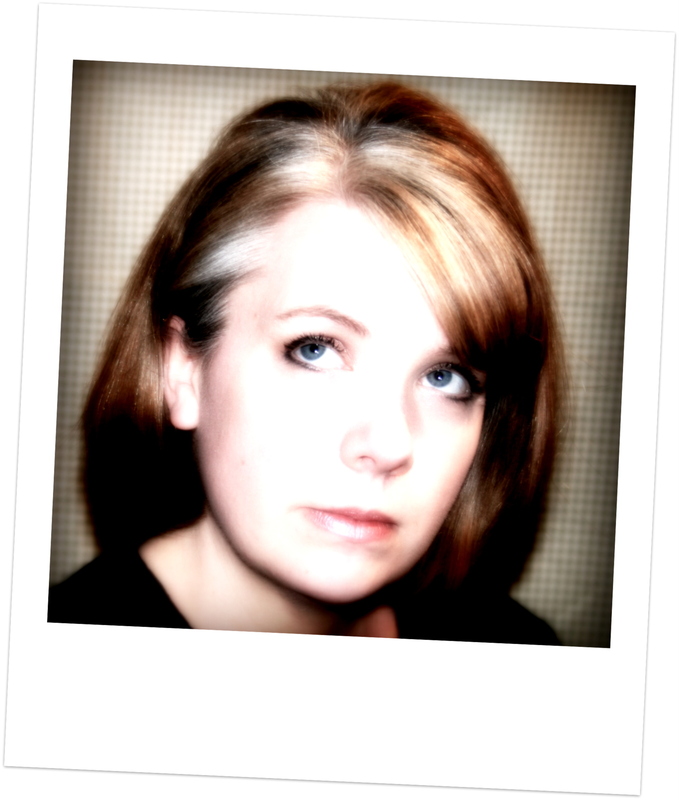 The one I used is vintage…but any trim will work perfectly. Add a layer of the coordinating patterned paper. 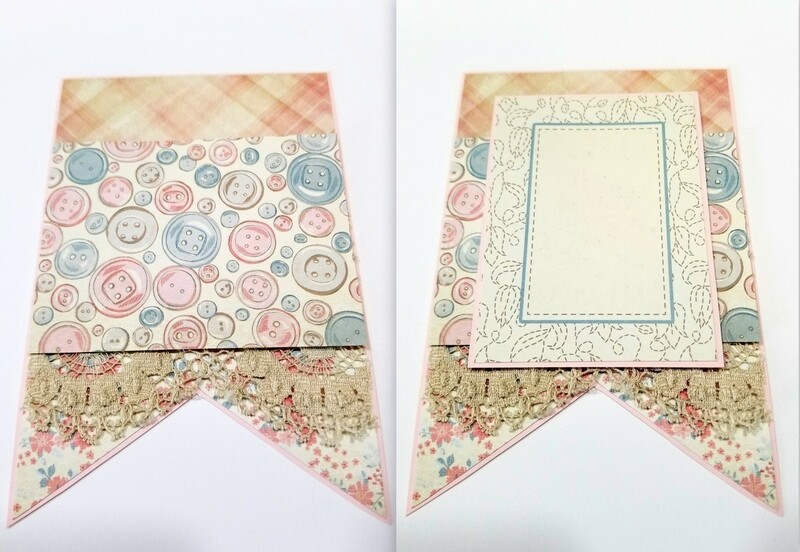 To create a base for the cut aparts I’ve layered on one of the journal cards matted in the same pink cardstock. 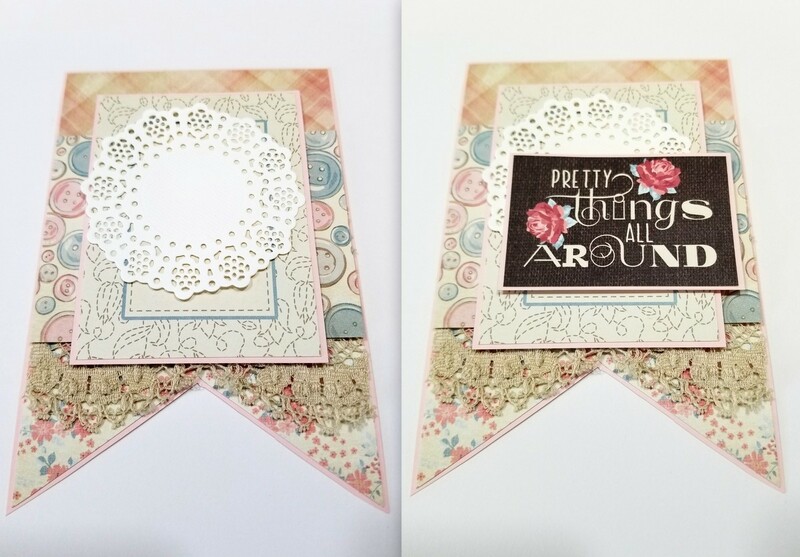 A small die cut doily will look great for texture but also helps to break up the busy patterns. Next add a cut apart matted for a consistent look. Don’t forget the sticker sheet from the collection has loads of sweet sentiments. This one seems perfect for dear old Mom. Top off the cut apart with a few coordinating flowers. This sewing themed embellishment is a chipboard shape that I finished off to look like a pair of scissors my Grandma had. That is sure to bring back special memories! Using a cropodile I added metal eyelets to the top so I could wind the ribbon through. I selected a few of the cut aparts that looked just as nice on their side and clipped them into a tag shape. More holes are punched then the ribbon is strung through using an over under pattern to keep most of the ribbon bulk in the back. For the outside banner sections I used the same layering process but added a few larger blooms and pearly headed stick pins. Pearls are the perfect accent and look super sweet on the polka dot journal card. Poofy bows topped with twine and actual vintage buttons are added to the tops of the tags as my signature you can never have enough flowers or bows policy. Last but not least the tags have coppery colored clips for a little shine. The two tags on the outside have an additional layer for dimension created with stickers from the collection popped up on adhesive spacers and adhered with twine looped through a coordinating eyelet. 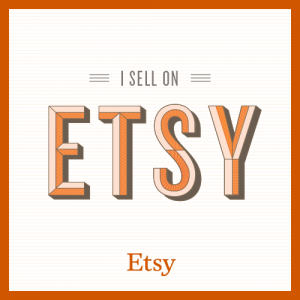 don’t forget to add more vintage buttons to the tag…..you can never have enough buttons! Authentique Supplies Used~ Stitches One, Stitches Four, Stitches Eight, Stitches Nine, Stitches Cardstock Sticker. 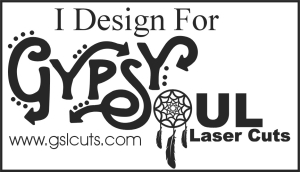 Gypsy Soul Laser Cuts~Vintage Seamstress Shape Set. 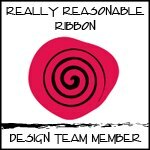 Really Reasonable Ribbon~Satin Swiss Dot Pearl Pink. 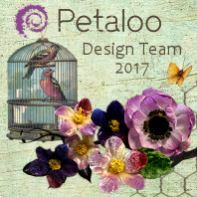 Love this banner I have ordered the stuff to make it. The tags spaced between the banner pieces make this an unique project that is several steps up in creativity and quality!! LOVE the paper collection you’ve chosen. Happy Mom’s Day to you!